In 2013, Katrina left a well-paying corporate job to take a yearlong career break that ended up lasting 20 months. 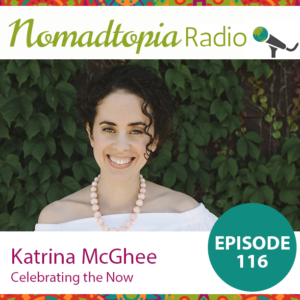 She returned to the corporate world to be able to finish paying off her debt (and completed her coach training at the same time), and is on the cusp of quitting her job once again to live her Nomadtopia as a location-independent life coach. Fantastic interview, you two! Great questions and I really loved all the heart and specificity of Katrina’s stories and insights.